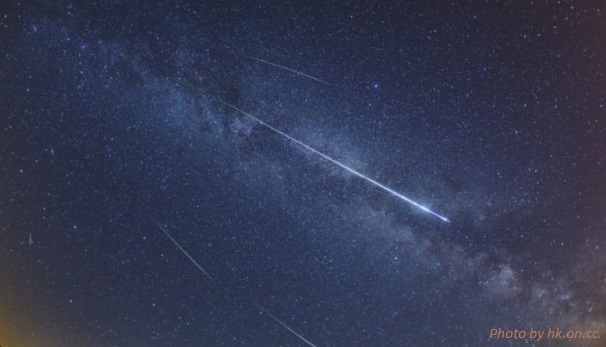 The spectacular Perseid Meteor Shower Hong Kong will reach its peak this weekend. According to Hong Kong Space Museum, the observing conditions are very good this year and the date of peak is August 12. NASA forecast that the coming Perseid meteor shower is expected to become the most significant one since 2009. Associated with the Comet Swift-Tuttle, the Perseid Meteor Shower is one of three major meteor shower in the northern hemisphere. This comet takes 133 years to orbit around the Sun. When the Earth encounters with the trajectory of the stardust of this comet, the particles will enter the atmosphere in high speed due to the Earth’s gravity. Most Perseids burn up when they graze the Earth’s atmosphere. The long bright trails, and sometimes fireballs, they produce, are known as the meteor shower. The Perseid meteor shower reaches its peak every year on 12-13 August. The number of meteors is relatively stable. NASA notes that if the meteor shower is affected by the Jupiter’s gravity at the same time, there will be more interstellar dust flickering across the Earth’s atmosphere and form the maximum meteor shower. According to the International Meteor Organization (IMO), the peak of this year’s Perseid meteor shower is 21:00 to 23:30. As many as 150 meteors per hour can be observed during the maximum, but the actual situation will depend on the weather and the prevailing circumstances. In Hong Kong, the radiant of the Perseids will rise from the East at about 9 pm on 12 August and then will be visible during the whole night. As the moon will set at about 1 am on 13 August, the observation conditions before midnight may be affected. It would be better to observe it after midnight without moonlight when the radiant reaches a higher position in the sky. You can go to a site in the countryside with an unobstructed view, especially in the northeast. Outlying islands such as Cheung Chau, South Lantau Island, Grass Island, Tung Lung Chau and Po Toi Island, etc. Just watch the meteors with the naked eye without the use of a telescope. You can bring along a star map, a red flashlight, a mat and other tools. If you don’t have time to go to the countryside, you can also visit the website of Hong Kong Observatory, in cooperation with Department of Physics, University of Hong Kong and the Space Museum. Hope this help. Enjoy the Perseid Meteor Shower Hong Kong 2016. Please feel free to leave us comments or contact us if you have any questions. Thank you for reading this post. Please like us on Facebook and share our post! Thanks for your comment. I’m glad that you like the blog.